To generate excitement for the premiere of Mr. 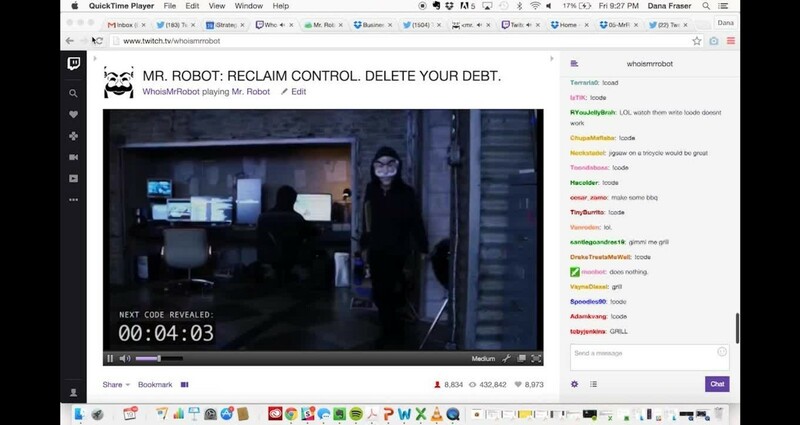 Robot's first season, ISL concepted and executed a livestreamed campaign via Twitch to delete the debt of our audience. 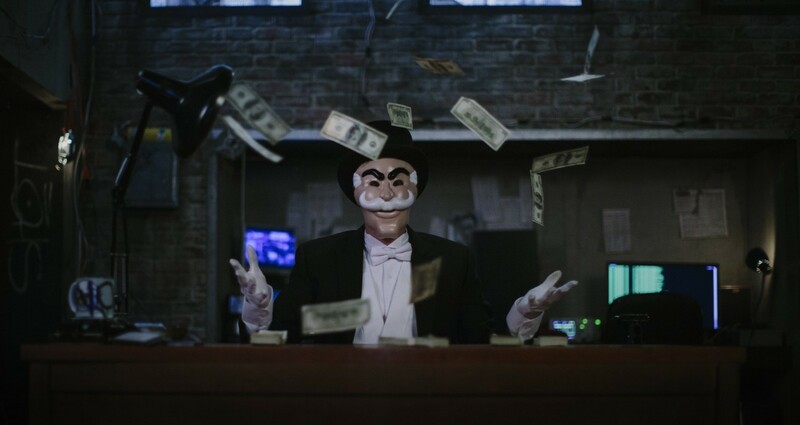 Over the course of three days and 17 hours of livestreaming, we — posing as fsociety, the hacker group from the show, gave away over $100,000 to our live Twitch audience in real time (the largest cash giveaway ever on Twitch at the time of the campaign). 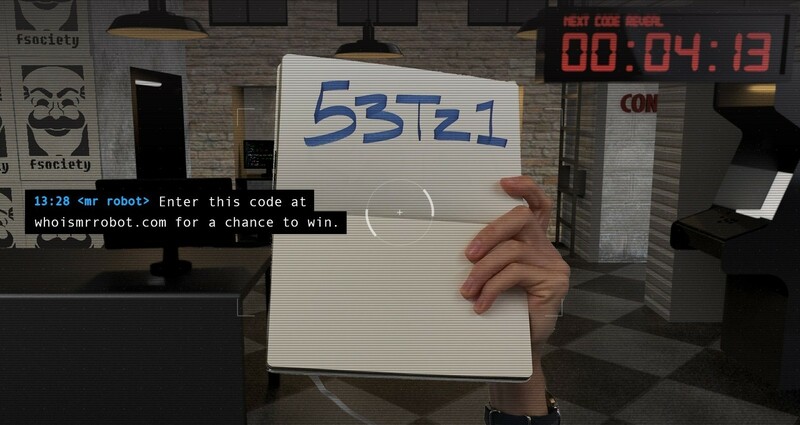 We generated awareness about our campaign by “hacking” into E3’s livestreaming content with several pre-recorded vignettes, urging viewers to tune in to our Twitch stream at designated times. Our audience was large, with 1.5 million views and 8.5 million minutes of video watched during the campaign. They were also highly engaged, with comments streaming in throughout each broadcast. The campaign won a bronze Cannes Lion and three Shorty awards for its innovative use of a new platform and creative campaign execution. 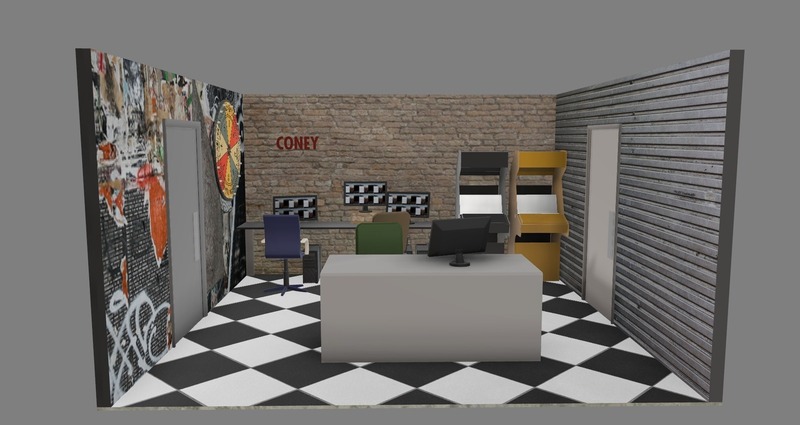 My role was as Art Director, working with our Creative Director and Industrial Designer to create the physical set, graphic overlays for the video stream, and other visual assets of the campaign. Our client, NBC Universal, wanted to generate awareness about their new show among the hacker and gaming communities. We kept our campaign extremely authentic — from having a real set built to stream from to engaging with individual Twitch users in real time, proving the live nature of our broadcast and generating excitement from the audience when specific viewers were mentioned. Many of our winners were extremely surprised to have won money, and the sentiment was extremely positive. 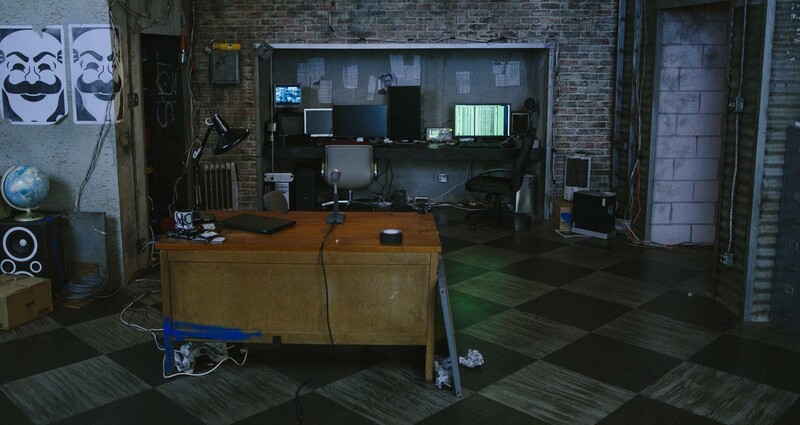 We also had real developers writing the code in the background of the stream for extra hacker credibility. If you’ve done a livestream campaign, you probably know they’re pretty exhausting and extremely challenging to keep an audience entertained for hours on end over multiple days. We kept our content fresh by asking the audience to help whenever possible, which they loved — whether it was asking them to vote on our next activity on camera or responding to their snarky comments. Plus, giving away money was a huge draw for the audience, of course!